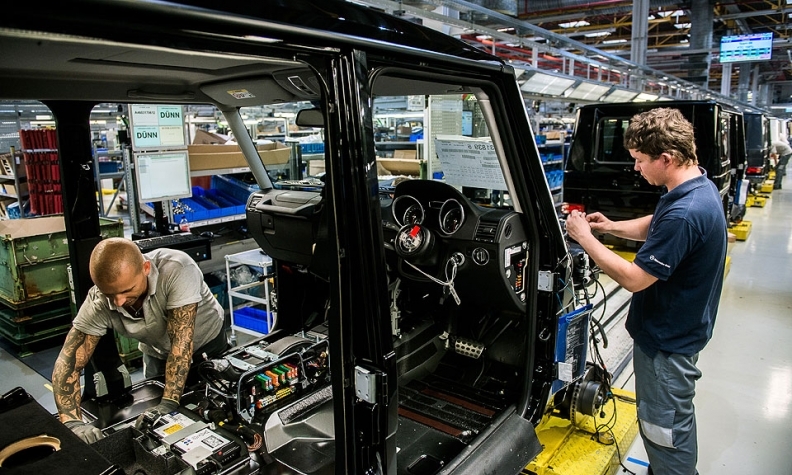 Workers fit the electrical systems to a Mercedes G-class SUV at Magna's plant in Graz, Austria, in December. Aurora, ONTARIO (Reuters) -- Magna International reported a rise in fourth quarter sales, excluding the impact of a strong U.S. dollar, helped by healthy vehicle demand and output in Europe and North America. Net income from continuing operations fell 6.4 percent to $483 million, or $1.19 per share. Revenue totaled $8.57 billion, down about 2.5 percent, or about $222 million. Excluding the impact of the U.S. dollar, sales increased 6 percent, the Canadian auto parts maker said today. 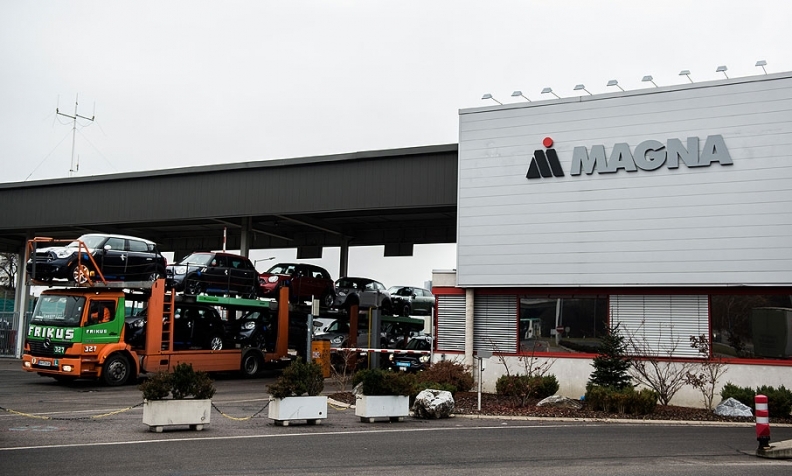 Magna, whose customers include General Motors, Volkswagen Group, BMW and Ford Motor Co., is a major auto parts supplier in Europe and North America, and also engineers and assembles vehicles for automakers. Aurora, Ontario-based Magna said vehicle production rose about 7 percent in Europe and about 4 percent in North America in the fourth quarter ended Dec. 31. The strong U.S. dollar reduced sales by about $770 million in the quarter, said Magna, which generates about half of all revenue from outside North America. The average value of the dollar against other key currencies was 11.7 percent higher in the fourth quarter compared with the same quarter a year earlier. Revenue in 2015 fell approximately $3.35 billion to $32.13 billion in 2015, reflecting unfavorable exchange rates. Excluding the negative impact of foreign currency, revenue increased 3 percent in 2015. The company said on Friday that it also increased its quarterly cash dividend to 25 cents per share from 22 cents. For 2016, the company sees revenue totaling $34.6 billion to $36.3 billion with North America light-vehicle output at 18 million and European production estimated at 21 million cars and light trucks. "Overall, we are satisfied with the progress we made during 2015," Magna CEO Don Walker said. "We took important steps to reposition our product portfolio for the future, in particular entering into a transaction to acquire Getrag, and disposing of substantially all of our interiors business." Walker added that the company has "some challenges in certain facilities" and is "working to overcome" them.